NIST is seeking more advanced tattoo forensic analysis, matching the tattoos into a computer system could help law enforcement to catch more offenders. One in five American adults has at least one tattoo and this number is much higher among the criminal population. Law enforcement has used tattoos as a means of criminals and victim identification for many years. It is believed that as criminals have more body ink than general, matching the tattoos into a computer system, could help to catch more offenders. It’s not robust enough to be used as a primary biometric like a fingerprint, but it could be quite helpful in cases where that evidence is not available. 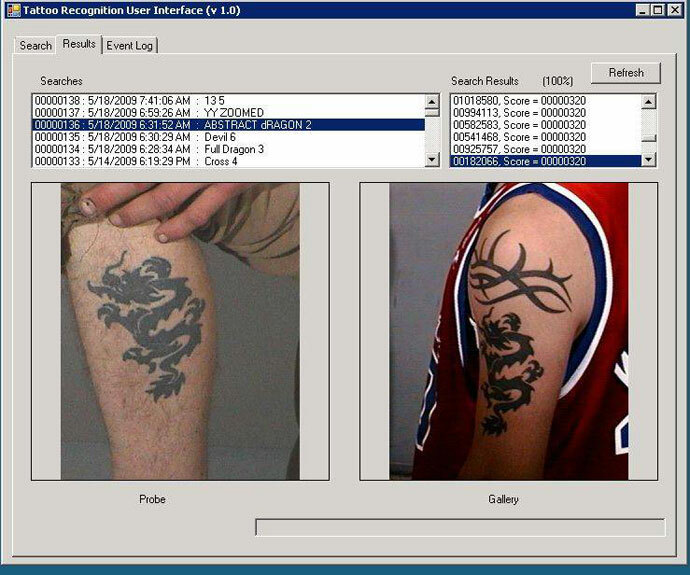 Historically, the keyword labeling approach based on the ANSI-NIST-ITL 1-2011 standard was followed by law enforcement agencies to collect and assign keyword labels to tattoos. This approach has some drawbacks including the limitation of class labels to describe the growing types of new tattoo designs, the need for multiple keywords, and the probability of labeling the same tattoo differently between examiners that has led to a vital need for automated image-based tattoo recognition capabilities. Since 2012, Government researchers have been working on developing an automated tattoo recognition technology. Meanwhile, Biometric Center of Excellence (BCOE) issued a request for information regarding any current databases containing tattoo/symbol images, their possible meanings, gang affiliations, terrorist groups or other criminal organizations. Last year, the National Institute of Standards and Technology invited interested commercial and academic community to participate in the Tattoo Recognition Technology – Challenge (Tatt-C) to advance research and development into automated image-based tattoo recognition technology. On June 8, 2015, the FBI sponsored Tatt – C workshop was hosted at NIST in Gaithersburg, MD and the results from six participating organizations and their image-recognition software were assessed. All of the participants used the same dataset of thousands of images from government databases provided by the FBI’s Biometric Center of Excellence. “The state-of-the-art algorithms performed very well in detecting tattoos, finding different instances of the same tattoo from the same subject over time, and finding a small part of a tattoo within a larger tattoo, however, detecting visually similar tattoos on different people and recognizing a tattoo image from a sketch or sources other than a photo could use further research”, said NIST computer scientist Mei Ngan, who organized the challenge.